where the Grammy Award winner engineers and produces projects in a wide variety of musical genres. But every year, when the Bonnaroo Music and Arts Festival rolls around, Shaw and his team decamp for Manchester, home of the festival. There, behind the main stage, they soundproof their double-wide mobile recording trailer with 500 hay bales. 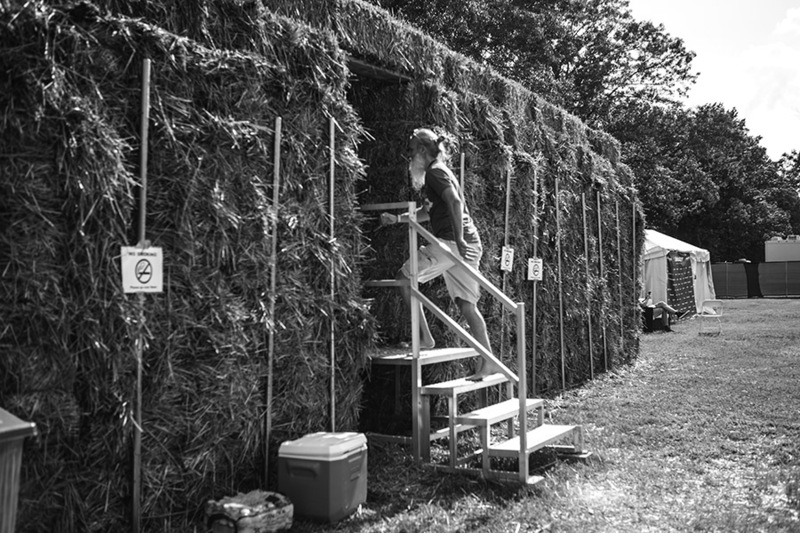 In this once-a-year Hay Bale Studio at Brigadoon—er, Bonnaroo—Shaw and his team record dozens of bands that will appear at the festival. The performances are fed to more than 40 radio markets around the USA. 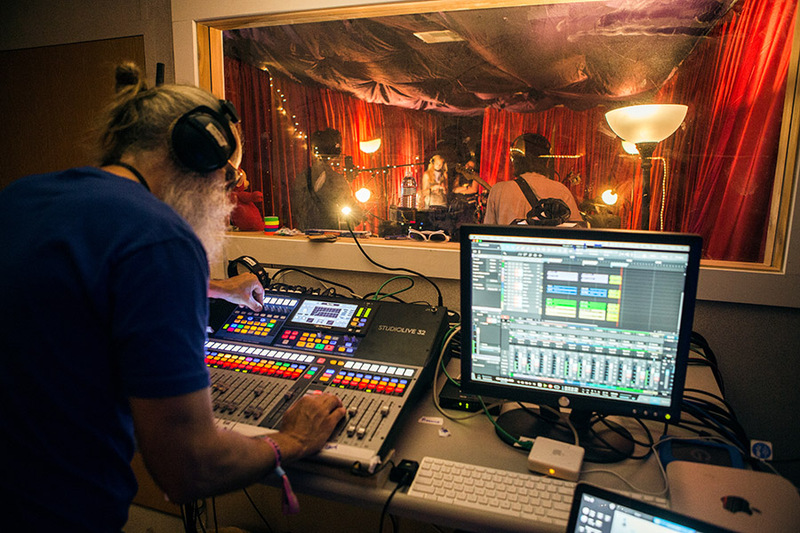 For the 2017 Bonnaroo, Hay Bale Studio offered more capabilities than ever before, as Shaw mixed on the new PreSonus StudioLive 32 Series III digital console/recorder, while his team captured the tracks and main mix in PreSonus’ popular Studio One 3 Professional DAW. 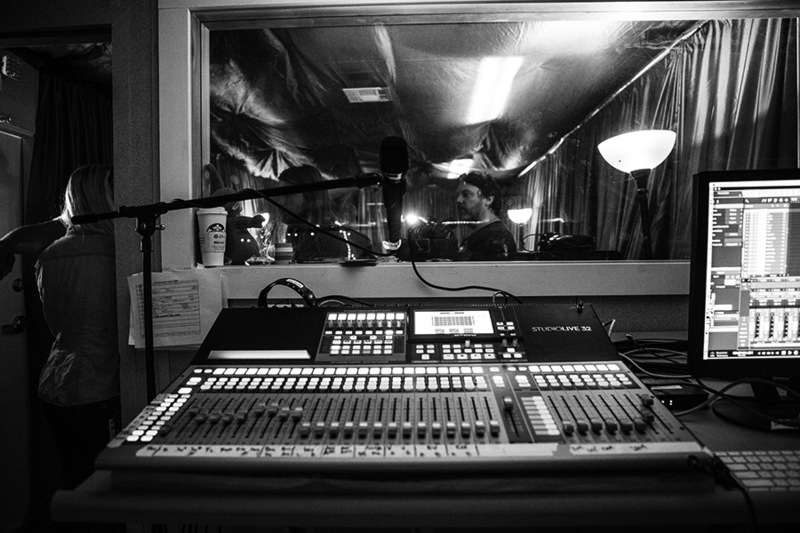 “The StudioLive 32 allowed us to bring in all 24 inputs from the recording floor, so we could record a full band. 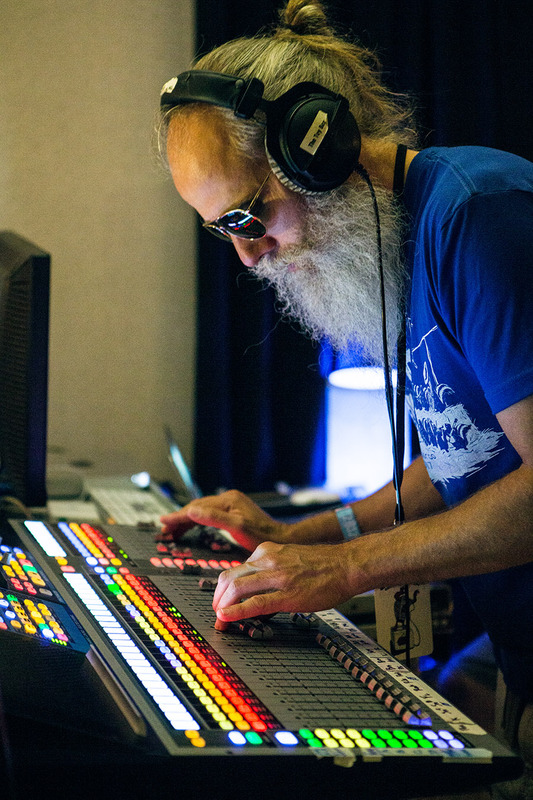 We’re recording in multitrack to Studio One using the console’s AVB audio interface, which can send and return up to 55 streams over one CAT5 Ethernet cable,” says Shaw. Main engineer Michael Hardesty also is equipped with UC Surface but he’s running it on a laptop. “Anything Lij can do on the mixer, I can do just as well in the software. My main goal is to set preamps and compressors and do the gain staging so I can get the multitrack feeds recorded properly in Studio One. I am also taking a print of the mix but generally I’m working with individual tracks. I also help with headphone mixes,” Hardesty observes. Listen to their latest podcast from Bonnaroo HERE! For more information about PreSonus, the StudioLive 32 console/recorder, Studio One 3 DAW, and the HD4 headphone amplifier, please visit www.presonus.com. Photography provided by Anthony Matula with MA2LA Design. I wrote a detailed review and posted it at Sweetwater, after I received the mixer, but Sweetwater took it down and replaced it with nothing but 5 Star gushing reveiws, which tells you that you can’t trust Sweetwater. There have been 4 firmware updates, so far, and not one of them has benefited the Studio user. You have to wait a month for each firmware update, since Presonus will only release one update every month..
unfortunately, since Studiolive 32 Series III doesn’t interface with Studio One, nor is the DAW Control in operation, you can only pass flat unaltered signal through USB, when recording. There is NO benefit, at this time to using StudioLive as a recording interface. I am still mixing in the box. Don’t take my word for it, ask Presonus! You can’t even use it as a tool for mix down, to your DAW, because it only passes unaltered signal through the USB. If you want to use it for mix down, you would need to connect the main outputs of the Studiolive 32 to a 2 track hard disk recorder or tape machine. I bought StudioLIce 32 in November of 2016 and am still waiting for it to be more than just a flat signal passing device, and June 2017 is nearly over. At this point, any inexpensive computer interface will do just as good a job. All the EQing and Effects, and so on, are for the benefit of monitoring and nothing more. This mixer is made for live use and should be re-branded the LiveStudio 32, since the studio portion takes a huge backseat, at the point in time. What do you use for cooling? I’ve spent time in Antioch at the TA during the festival and it was pretty warm. 40 radio markets can you share a few of which ones they are please?